The Great Canadian Shoreline Cleanup empowers all Canadians to take action for healthy waterways by taking part in shoreline cleanups. Presented by Loblaw Companies Limited, the Shoreline Cleanup is a national program of the Vancouver Aquarium and WWF-Canada. Cleanups can take place any time of year, anywhere land connects to water, including rivers, lakes, streams and beaches. 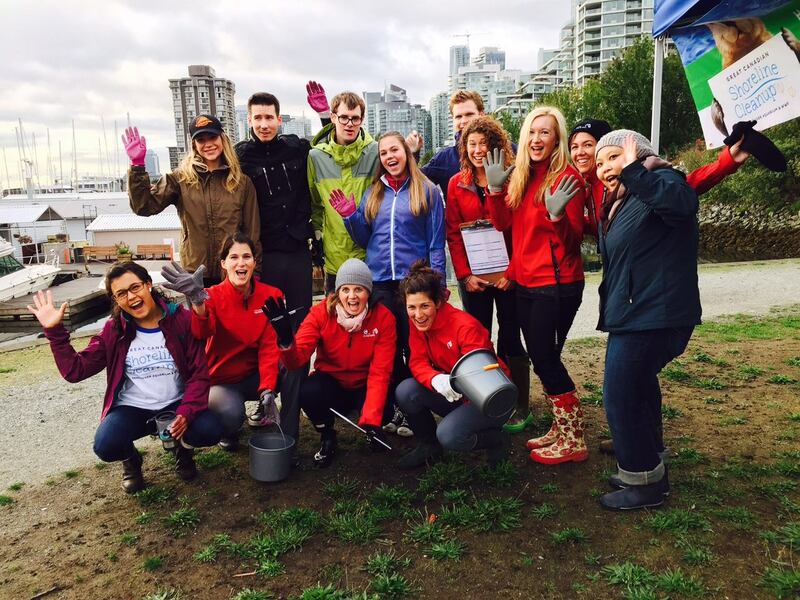 And this year we’re thrilled to work with the Great Canadian Shoreline Cleanup team to host our first ever pre-Expo shoreline cleanup in downtown Vancouver! On Saturday, March 17th, 2018 from 11:00 to 1:00 pm, families are invited to join us for a shoreline cleanup at Devonian Harbour Park near lost lagoon and Stanley Park (just a few blocks from where the Healthy Family Expo will be hosted at the Vancouver Convention Centre the following day). We see this as a simple but powerful way for our team and members of our community to give back where we live and work. As a thank you for your time, the first 100 people who register for this shoreline cleanup will receive a free adult ticket to the Healthy Family Expo happening Sunday, March 18th at the Vancouver Convention Centre ($20 value per ticket). Children under 16 already get in free to the Expo, but any children registered for the cleanup will also get a free adult ticket (which means one child and parent could come out for the cleanup on Saturday and head home with two adult Expo tickets for the whole family to come and enjoy the event on Sunday). All volunteers will be asked to sign a waiver on site at the cleanup and will be provided with all necessary equipment (gloves, pickers, buckets). The Expo team will be out there with our kids and we hope you’ll join us for such a great learning and bonding experience for your family!